The high temperature today was 12 and the low was -1. The normal temperature would be a high of 43! It is so cold I can only think of warm soup and roasted sweet potatoes to make all day, so that is what I did! 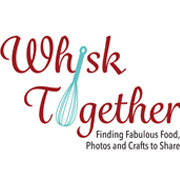 I have two yummy soups to show you and they are both LOW in calories and FAST. 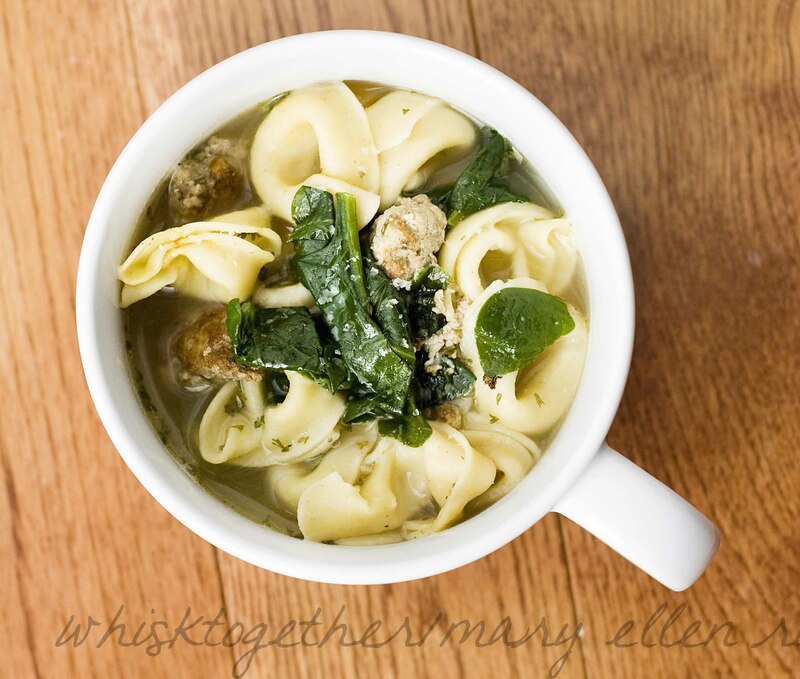 Today is meatball tortellini soup. This recipe uses 8 oz. ground beef or ground chuck. I know most packages sell their ground beef in 1 lb. or larger. So, I simply made a large 16 oz. batch of the same size meatballs and the kids ate spaghetti and meatballs for dinner the next day. Three kids approved these meatballs, so they must be good! And much easier to make than my previous meatballs. 1. It is less than 500 calories per serving! 3. The soup reheats nicely. 4. It can be frozen. 5. It is meaty and light at the same time. The one minor problem I had was that a few of the meatballs fell apart when turning them over. You can avoid this by baking the entire batch of meatballs in a mini-cupcake pan. I liked the small chunks with the big chunks myself. A hot bowl of meatballs, pasta, cheese and spinach simmering in broth. Comfort food for less than 500 calories per bowl! In a medium bowl: mix the beef, cheese, half the parsley, egg, 1/2 tsp. salt and pepper. Add oil to pot or dutch oven. Heat over medium-high heat. Scoop in your meatballs with a small cookie scoop or spoon. Let them brown on one side about 2- 3 minutes. Turn over. Brown on the over side 3-4 minutes. Put on a plate to use later. While the pot is still hot, add the carrots and celery. Cook about 5 minutes. Pour in the chicken broth. Scrape the bottom of the pan to get the yummy beef goodness off the bottom. Boil the mixture. Add back the meatballs, rest of the parsley and salt to taste. Cook 2-5 minutes or until meatballs are done. 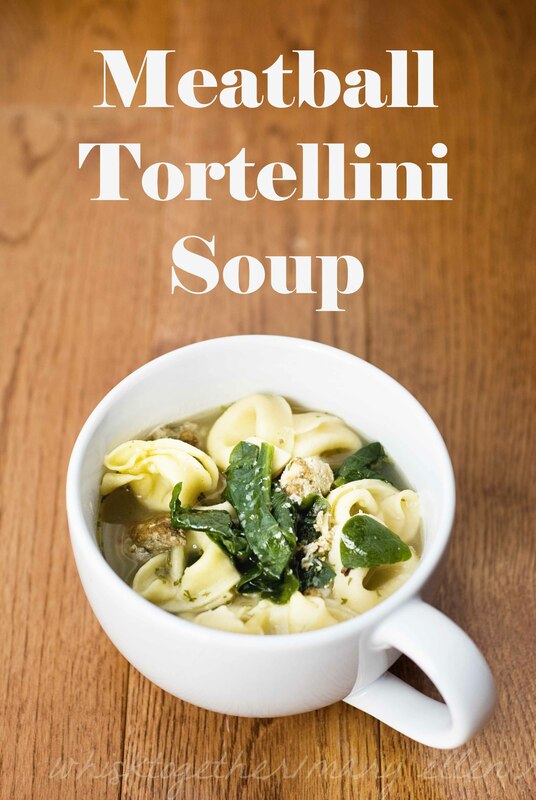 Drop in the tortellini pasta and cook about 4 minutes. They will float to the top when they are done – which is pretty quickly. Fold the spinach into the soup and stir to let it wilt – about 1 minute. Top with salt, pepper and any extra parmesan cheese.